I understand that my membership to A Cup of Content is month-to-month with no long term commitments. I authorize A Cup of Content (Content a la mode, LLC) to charge me $19 USD each month until I cancel my membership. If I cancel my membership, I understand that I may not be eligible for this pricing if I renew in the future. Furthermore, I affirm that the name and information I provided on this form are true and accurate. 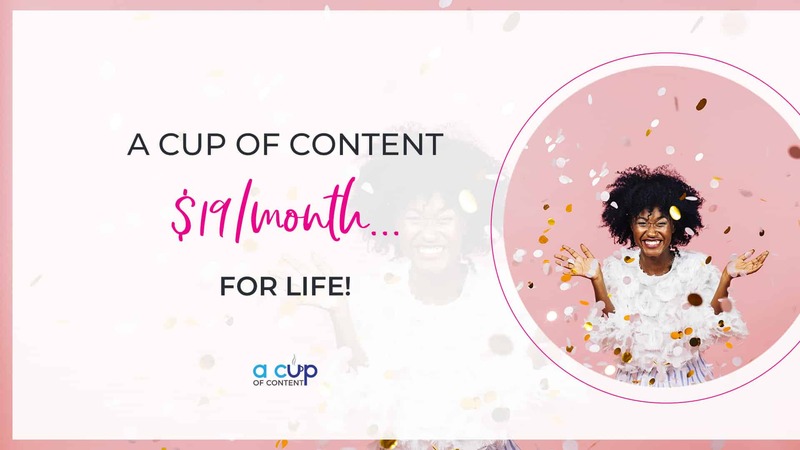 By subscribing to the $19/month Membership, I agree that I have read, understand, and accept A Cup of Content's terms and policies as published on their website (as linked below). I also understand that there is NO refund policy for this membership and that NO refunds will be processed. We have made every effort to accurately represent our program. The testimonials and examples used are real results–they are from those who take action, ask questions, and learn. These testimonials are not intended to represent or guarantee that anyone will achieve the same or similar results. No guarantees are made that you will achieve results from this membership. Each member's success depends on his or her background, dedication, desire, and motivation. As with any business endeavor, there is an inherent risk of loss of capital and there is no guarantee that you will earn any money…and we will not be held responsible. 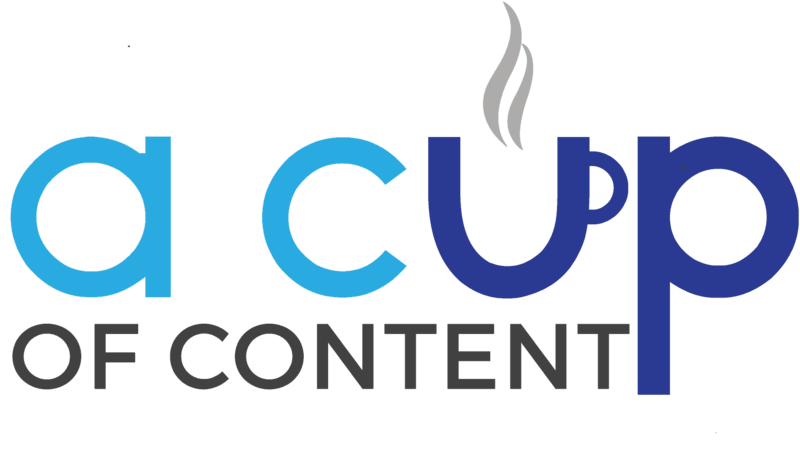 This program is copyrighted by A Cup of Content (Content a la mode, LLC) with all rights reserved.No part of this membership may be copied, changed in any format, sold, distributed or re-purposed in any way. This means you (“The Member”) cannot share your login with others or distribute/sell/re-purpose our content in any way. Any members caught in these actions will be terminated immediately and legal action may be taken.